The Economic Cycle Research Institute (ECRI), an independent Manhattan think tank, runs on the principles developed by Geoffrey H. Moore, with whom Lakshman Achuthan founded the company. 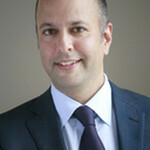 Lakshman Achuthan met Moore in 1991 after completing his Bachelor’s degree in Economics and Finance at Fairleigh Dickinson University as well as a subsequent MBA at Long Island University. The two men worked together at Columbia University’s Center for International Business Cycle Research, where Lakshman Achuthan also met future business partner Anirvan Banerji. In 1996, the three men established ECRI in New York City. Lakshman Achuthan became chief operating officer for the company, and Mr. Banerji accepted the role of chief research officer. Join Today to follow and contact Lakshman Achuthan.